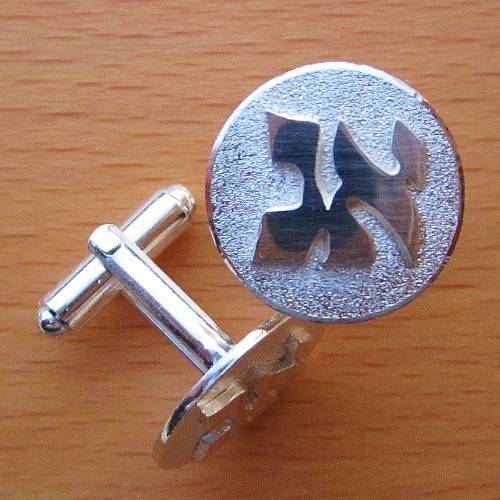 Solid Silver initials in Hebrew or English over Sterling Silver diamond brushed disk. Width of disk: 2cm. Note that the dimensions can be changed at request.